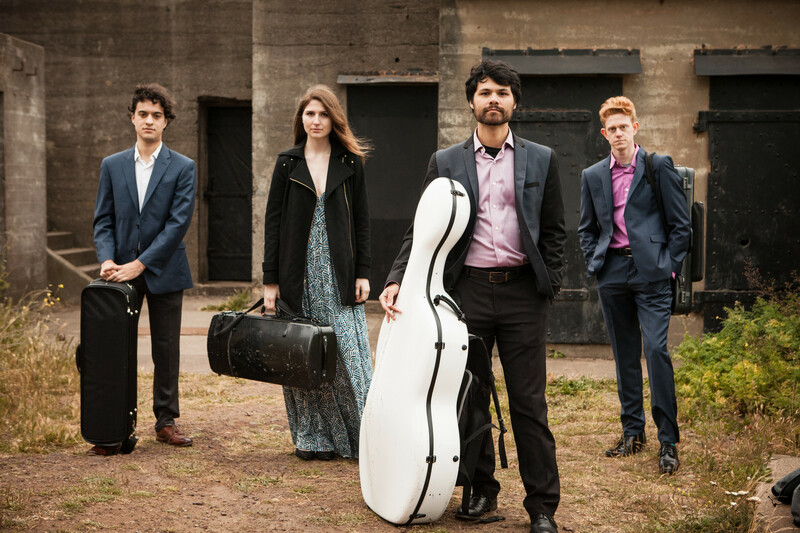 The members of the Friction Quartet — four gifted and alert young string players with roots in the San Francisco Conservatory of Music — seem to have adopted an appropriate name not just for their ensemble, but for an entire vein of musical thought. The pieces the group unveiled during an engrossing concert on Friday night at the Center for New Music in San Francisco shared a predilection for the gritty, the intense, the rhythmically pungent. Throughout the entire program — which included some new works written for the ensemble and others of less recent vintage — you could hear the expressive potential of bows rubbing abrasively against strings. Which is not to imply that the music was especially dissonant or difficult, though some of it was. Some was radiantly lovely, and even more of it infused a certain rough-hewn rock ’n’ roll fervor into the sprung rhythms and cheery repetitions of post-minimalism. But all of it avoided any hint of serenity, or for that matter much in the way of resolution. This was high-octane music-making, and the Frictioneers — violinists Kevin Rogers and Otis Harriel, violist Taija Warbelow and cellist Doug Machiz — brought to all of it a fine blend of rhythmic ferocity and tonal flair. You can read Joshua Kosman’s full review here.